SOFIA, Bulgaria (BulgarianMilitary.com) – The Bulgarian government expects to receive three offers by 16 April for participation in the announced project for building of two patrol ships, learned BulgarianMilitary.com. 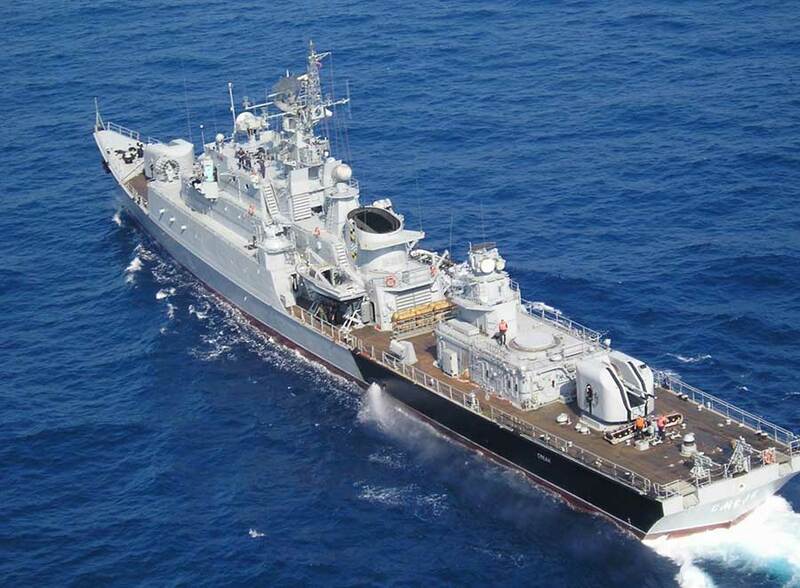 Rear Admiral Mitko Petev, commander of the Bulgarian Navy, commented that no offer had been made yet, with a deadline for this being April 16. “So far, no offers have been filed because it usually happens on the final day, so I can tell you on April 16 how many offers there will be. At this moment, we expect offers by three companies: Lürssen, Germany; Fincantieri, Italy and MTG Dolphin, Bulgaria. There are indications that this will happen”, he told Bulgarian National Radio (BNR). So far, our Navy has asked for offers from eight companies. According to various political analysts, the deal for nearly 1 billion levs can be realized by the end of the year only if there is a political will to do so. BulgarianMilitary.com recalls that the Varna MTG Dolphin company was initially selected on this project at the end of 2017. According to the then prevalent comments by the Ministry of Defence in the media, the Varna shipyard refused to sign the contract for awarding procedure on the day when it had to happen because the value of the project was reduced. Initially, it was for 820 million levs but excluding VAT. The tax is now included in the general budget of the project. However, at that time MTG Dolphin didn’t want to comment on the statements of the Ministry of Defence. More than once representatives of the Bulgarian government and the political elite have adhered to the idea of ​​a Bulgarian company being the executor of the project. Even then, MTG Dolphin made a serious offer on the project and ensured that they could not only implement it, but also provide a transfer of high technology. Then, in their offer, the Varna company showed that on the basis of framework agreements on the project they would work together with international companies in this field, such as Thales’ branches in the Netherlands, France and Germany, the German company Diehl Defence, the Italian Leonardo, the French MBDA and the offices of Rheinmetall in Switzerland and Germany. Bulgaria currently has a total of six warships, three of which are Soviet-made, and the other three are made by Belgium, acquired as second-hand ships in 2005-2008. The presence of Soviet equipment is exactly one of the reasons for the implementation of this project for two main reasons: the old USSR ships are not at the modern state of technology and they are not compatible with NATO standards, so if they are replaced by two new patrol ships, the state will save BGN 7.3 million, according to experts from the Ministry of Defence.